Possibly, Euro is about to complete current correction. 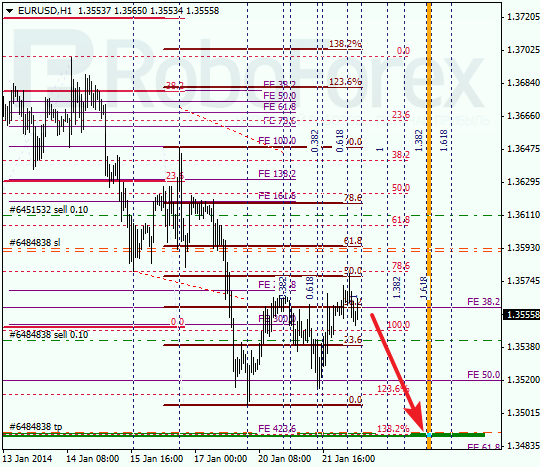 Main target for bears is still in lower area close to 1.3490, where there are several fibo-levels. Probably, price may break local minimum during the next several hours. 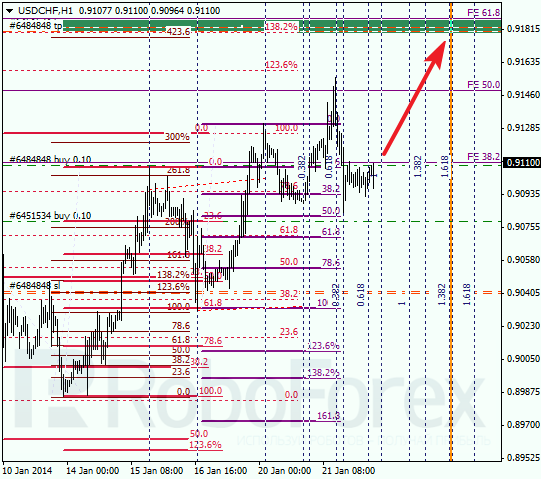 At H1 chart we can see, that market reached correctional level of 50% and rebounded from it, just as we expected. According to analysis of temporary fibo-zones, predicted targets may be reached by Thursday. Franc is also still being corrected, but may yet move upwards a little bit. In the near term, price is expected to start new ascending movement towards upper fibo-levels. 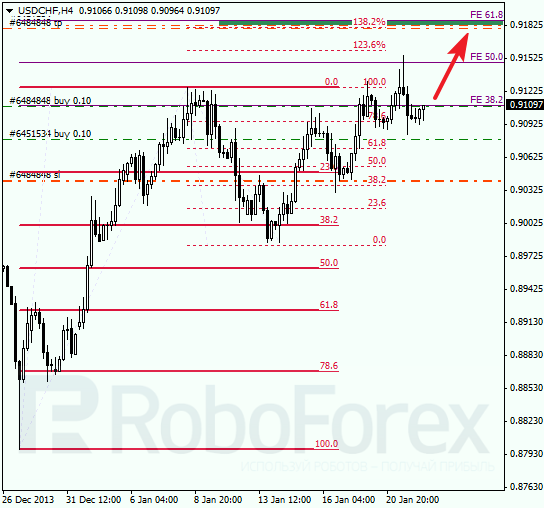 Target for bulls is at level of 0.9180. As we can see at H1 chart, market has been consolidating for several days. According to analysis of temporary fibo-zones, bulls may reach upper levels until the end of this week. If later pair rebounds from them, market may start new and deeper correction.